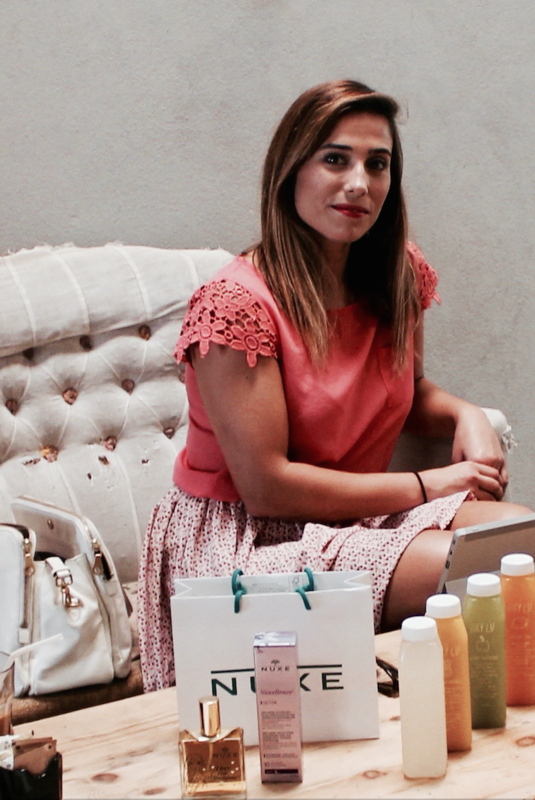 This morning our CEO & founder Adriana Castro had the great opportunity to be meeting at Jucy Lu in Wynwood Block, Uxue Pineda, Key Account Executive and National Trainer of NUXE US. This last Sunday, they were present in our DIY Floral Workshop, celebrated at Wynwood Block where our guests designed Floral Crowns with Top Miami Bloggers and partnered with great beauty brands like GlamSquad, as well as Jucy Lu and Mister Block café for our venue. 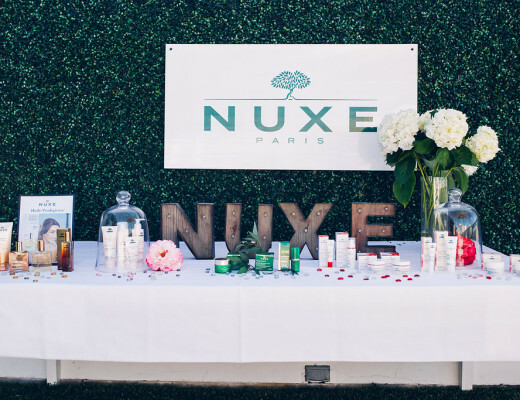 NUXE US had the opportunity to be talking to all our bloggers who came to the Workshop, were the main purpose of the brand was showing their beauty products and the benefits that this natural Parisian beauty · NUXE provides to their skin. Both companies will be organizing soon a Beauty Event hosted in a random and trendy place in Miami, only for bloggers, where they will have the chance to try their top seller products as well as the most important beauty tips that a girl needs to follow in her daily life. Since its creation, NUXE Laboratory has focused on developing high quality skincare products. They have an international presence (65 countries), 45 patents file; a guarantee of performance, innovation and exclusivity. Its a natural Parisian beauty that aims to offer consumers high-performance products at a fair price. In addition, NUXE US places considerable importance on the sensory pleasure of different textures the subtlety of the fragrances and on captivating names in order to combine effectiveness with frequent use. 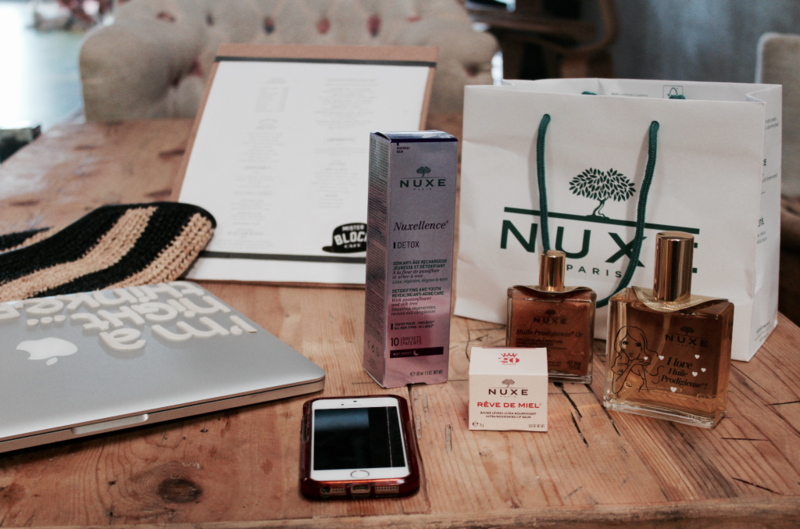 We had the pleasure to meet NUXE US and know better all their beauty products they are offering in this market. 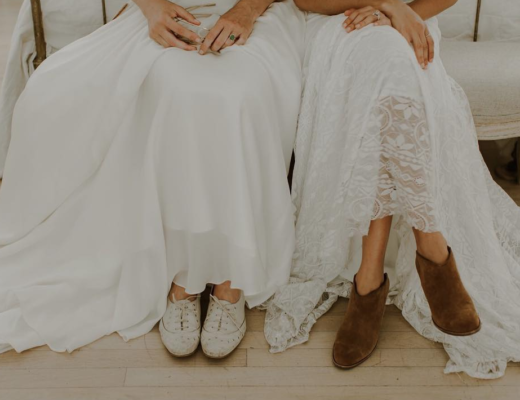 The Creative’s Loft and NUXE US are working in the possibility of a collaboration in order to get the product more known among Miami bloggers and influencers. Stay tune! Great projects are coming up soon! 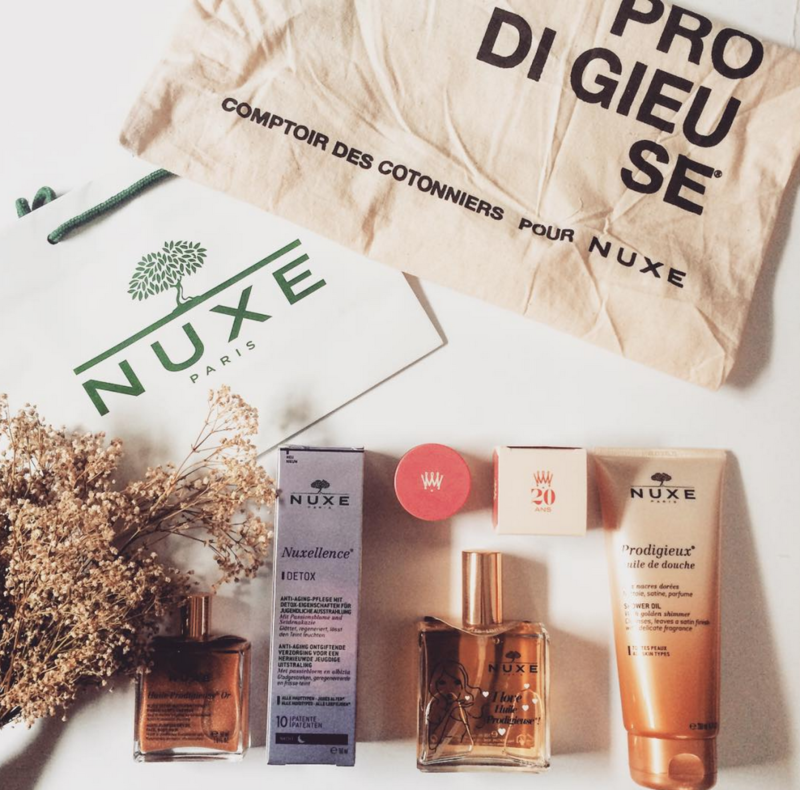 Uxue Pineda, Key Account Executive and National Trainer of NUXE US, has revealed to us the benefits of some of their Top Products; NUXELLENCE and the Huile Prodigieuse. NUXELLENCE is an anti-aging night care that recharges the skin with youth by repairing mitochondrial DNA and detoxifies cells at night which is a crucial time. With its 10 patents, this major anti-ageing innovation is tailored for all skin types and all ages. In the morning, the complexion is revived and skin looks fresh and radiant, as if you have had 2 extra hours of sleep*. Night after night, the skin appears rejuvenated, regenerated and detoxified. Apply in the evening, for all women of all ages, on its own or under your regular night cream. Use in combination with anti-aging skincare Nuxellence® Jeunesse day cream. Huile Prodigieuse is the #1 oil in France and US. This inimitable, incomparable cult product nourishes, repairs and softens skin and hair. It’s also Nuxe’s bestseller, with millions of bottles sold all over the world since its creation. Its inimitable, sensual and mood-enhancing fragrance has become a signature for the brand, its elegance mirrored by that of women who use it the world over. It also perfectly summarizes Nuxe’s philosophy: easy-to use products that blend instant results with natural active ingredients and above all, sensorial pleasure. In other words, a Natural Parisian beauty. A natural, healthy glow for the face. For a dewy, glowing complexion and hydrated skin spray a little Huile Prodigieuse® into the palm of your hand and mix with your regular face cream. Apply from the center outwards, massaging in with both hands. Your skin will feel softer and smoother, and will smell wonderful. For a smoother foundation application put a drop of Huile Prodigieuse® in the palm of your hand before applying your base. The foundation will glide over your skin, giving you a perfect, photo-ready finish. The Creative’s Loft and NUXE US chose one of their favorite places to host their meeting today: JUCY LU. Both girls, follow a very healthy style life, where their nutrition it’s also one of the most important thing in order to improve the quality of their skin and general body. They had a wonderful morning while they tried a nice selection of Jucy Lu Juices. They do not really know which are their favorite ones…all of them are delicious! We love this spot! We find it cozy and cool to run our meetings. It’s a way of being involved in Miami’s Community and be surrounded by local people and talent. Definitely, a spot that we will be using more than once! 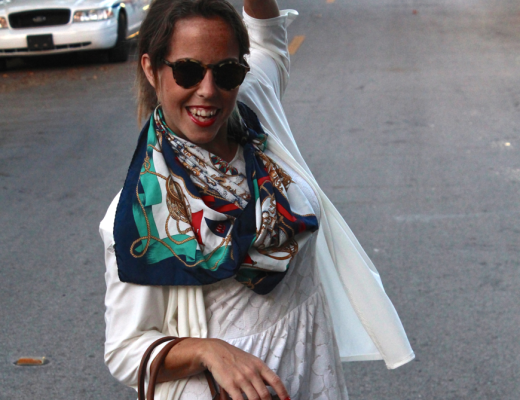 Moreover, Vanessa Morado, is a wonderful person and she always is open to be collaborating with us! Adriana Castro. They had a very busy morning, drawing the lines for their future projects where both companies will be partnering together in order to bring new beauty experiences to the city! Do not miss it! Would be great to have you in our following event! Have a look to the pictures, we had so much fun! We love working this way and breaking boundaries!